Sinopsis : The story takes place after an abominable war that foisted a “devil’s contract” upon a land. Cecily Campbell, a former noble’s daughter who joined a knighthood, encounters a man who dispatches some hoodlums with one sweep of a mysterious sword. The man possesses the power of the same “devil’s contract” that has become taboo, now that peace has been restored. 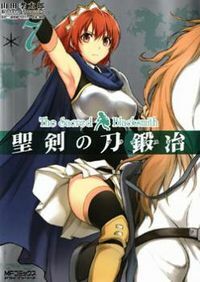 Cecily has been searching for a blacksmith who can repair an old sword she inherited from her father, and that mysterious young man happens to be blacksmith named Luke. This encounter launches their adventures together.